Samsung phablets are known for its exquisite design, big screen, and killer battery. Apple has joined the phablet party by launching IPhone 6 Plus. IPhone 6 Plus is the biggest phone that Apple has ever made as it has changed its screen size to 5.5-inch. But the screen is not bigger than Note 4. So if you are planning to buy a new phablet and confused between note 4 and iPhone 6, then take a look at this article to know about the different in the specification in these two phones. The Galaxy Note 4 runs on the latest Snapdragon processor, has more RAM and the advanced Adreno GPU to manage the most demanding mobile gaming. While the iPhone 6 Plus runs on the new A8 processor and with the quad-core, PowerVR GPU can handle high-intensity 3D gaming as well. Galaxy Note 4 is more suited for multitasking purpose while iPhone 6 Plus is quite good for gaming purpose. These phones are equipped with Bluetooth 4.0 support so that you can easily connect to headphones, speakers, and wearables like an Android Wear smartwatch. The Samsung Galaxy Note 4 is furnished with NFC technology that enables you to do mobile payments. Both these phones also have 4G support, but 6S comes with a more comprehensive list of 4G/LTE networks. The sounds of both phones are evenly matched and quite good too. Apple has kept its speaker on the bottom edge of the phone while Samsung has repositioned its sole speaker to the back of the phone. The speakers of both the phone are good loudspeaker conversations, but iPhone gives a little more depth. Apple is known for its great displays, and it comes with 5.5-inch 1080p IPS LCD. 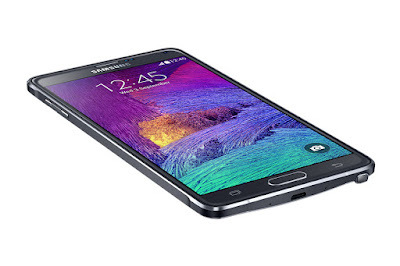 Galaxy Note 4 comes with a little larger 5.7-inch QHD screen with a much higher 2,560 x 1,440-pixel resolution. The super AMOLED display of Samsung is really unmatchable as it gives super-sharp resolution and all colours look punchy and vibrant even in darkened room. Both the companies have used different screen technologies for their displays. The iPhone 6 Plus comes with IPS LCD screen while the Note 4 has Super AMOLED display. As highlighted in the article, these are some differences between the specifications of these two phablets. So if you want to buy these phones, then you can check various forums to know more about the specifications, features and customer reviews of these two smartphones.